my mk2 and her modern friends in a morning leisurely ride to the newly opened Victoria Concert Hall in Singapore. One of mine MK II, never imprisoned with locks, is a free and facetious subject ! a beautiful bike, with the Solida Crank? looks like a very early mk2 to me? 3 or 4 digit serial number Olivier?! The Brompton in the middle is owned by Judith, right? I can't identify who owns the third one. You are right, Greg. Year 1990. I have some challenges for you later ["a Brompton, an enigma"]. 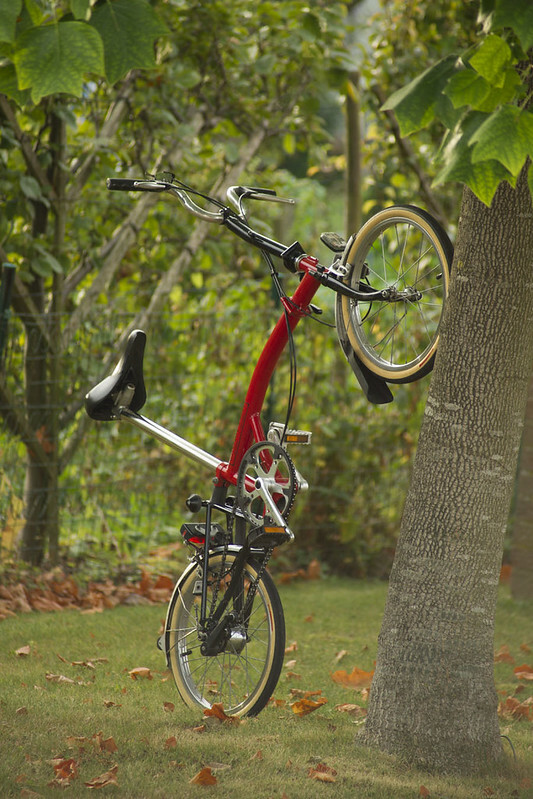 2 members in my Older Brompton Bicycles (OBB) group has the 3 digits mk2…with Rigida rims like the mk1…Olivier. I know well that asians bromptoneers are my main competitors. Right, I did not notice the Osymetric chainring I think this Brompton is the 2 speed one, his lightest. William has upgraded to the Titanium 3 sprocket system on his bike Francois! we're all friends! no compeition… and since you mentioned it.. I'm pretty sure your forum talked about the recent mk1 auction in Australia? 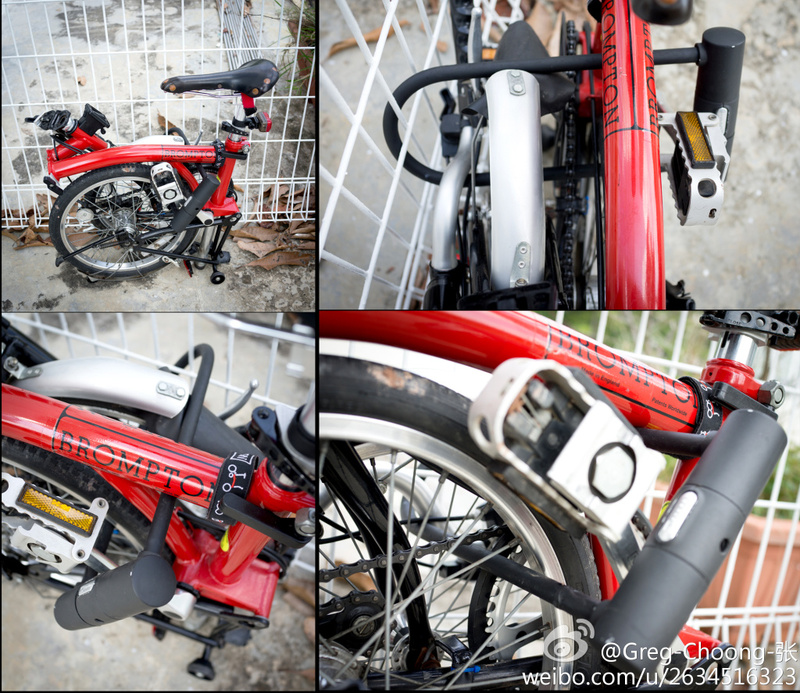 The winner of this bike is also a member of my OBB group So you're right, the Asians like Older Bromptons! Sujet: Re: My 1997 Red Mk2..!